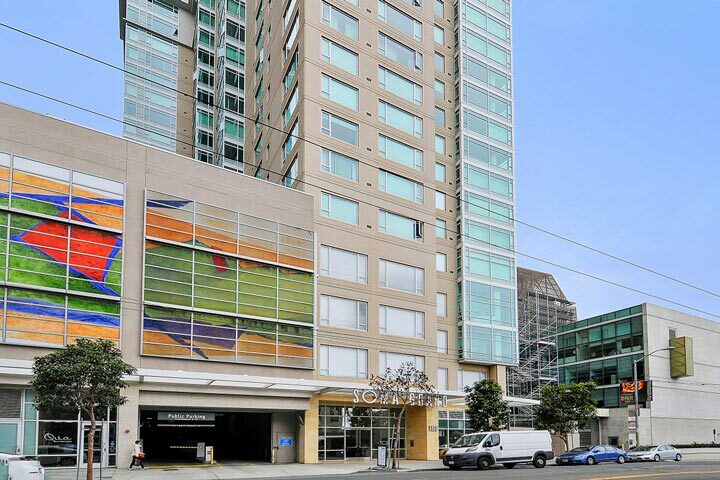 The Soma Grand condos are located at 1160 Mission Street in San Francisco, California. Soma Grand was first developed in 2008 and features one to two bedroom condos that range in size from 626 to 1,660 square feet of living space. This is a great hi-rise condo building located in the desirable South of Market area with select units offer panoramic city views from the floor to ceiling windows. 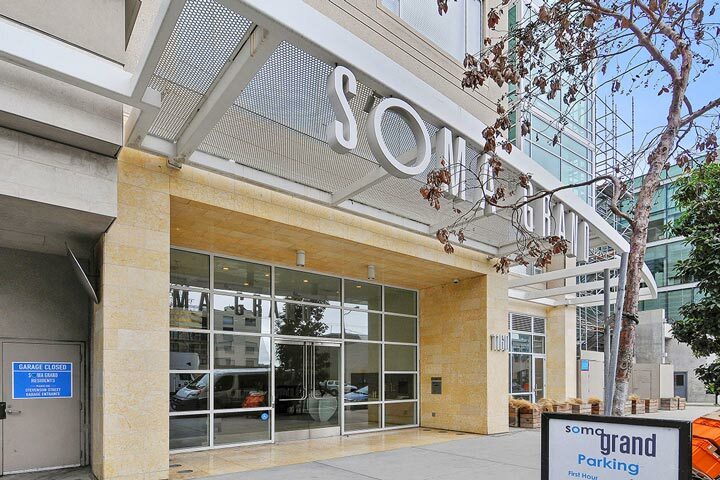 Below are the current Soma Grand condos for sale and for lease in San Francisco. Please contact us at 888-990-7111 with questions regarding this community and any of the condos listed for sale here. The Soma Grand community offers a prime location with a lot of local neighborhood amenities including bi-monthly house cleaning. The location is within walking distance to the BART & Muni with great restaurants and entertainment located just minutes away. It also provide easy freeway access to local freeways.